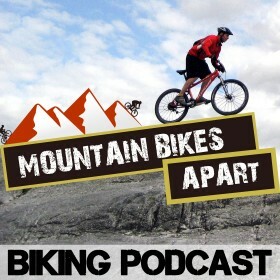 In this 5th episode of Season 3 of the Mountain Bikes Apart podcast, Colin and I have a good chat about winter training in the sun, dropper seatposts and returning to our favourite trails. We also tackle some more great listener feedback and questions. Having spent two weeks in Gran Canaria preparing for the upcoming season, Colin and I speak about some of the best places to go for both road riding and mountain biking in the winter. Gran Canaria is a great place for riding in the sun, simply because the roads and trails are quiet and vast, and the stable climate of the island offers one of the best guarantees for good weather. Majorca is another destination we’ve both visited and has plenty of amazing riding too, though as Team Sky found out, it’s not always sun shine and warm temperatures at that time of the year. One place that I also mention is South Africa, specifically Stellenbosch, which is an area that a lot of pro mountain bikers and triathletes head for in the winter. There’s access to great road riding, but the main draw is the Jonkershoek national park. This is where you’ll find incredible singletrack and fireroad trails, so could be a fantastic place to consider visiting. This week, the latest bit of kit we’ve been trying out is my dropper seatpost from Yep Components, which is the model the BMC Mountain Bike Racing Team and World Champion Nino Schurter have used in XC competition. It’s a relatively lightweight post with a nice simple interface, and what’s great about the Uptimizer model that I’ve been trialling is the smooth action of the travel and the lack of side-to-side play that you find with other models. I’ll be training on the post a fair bit over the next few weeks, so if dropper posts are something you’re considering getting for your XC or trail bike, stay tuned for my longer term thoughts. You probably know that feeling of going back to your favourite trails for the first time in a while and being a little underwhelmed by what you find, and this is something Colin talks about with Glentress in this show. The long stretches of fireroad, the unmaintained section of downhill or the part that never seems to be dry are easily forgotten when you think back to your previous rides on a trail, and sometimes it’s a case of being realistic in your expectations and not holding a trail centre or a particular ride on too high of a pedestal. Something positive that comes from this is that it can help you to love your local trails more, knowing that even though it might not be perfect, neither are the most popular trails in the country either, and riding and enjoying what you have is the most important thing. Have you had a similar experience with your favourite trail? Be sure to write in and let us know! Finally, we end this show with some great listener questions and feedback. We learn how we helped one of our listeners settle on a BMC bike that they’re really happy with and get a question about our opinions on single speed bikes and whether they’re ever a good thing. Have a listen to the show to find out what we think and offered as our advice! Remember, we’d love you to get in touch with any questions or feedback you have, and you can find both Colin and I on Twitter at @thePodcastHost and @bytombell respectively or email [email protected]. We’ll catch you on the next show!